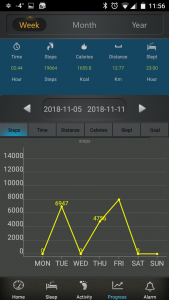 This is the first part of a two part series on the WeighFit activity tracker and investigation into WeightNot. Part 2 attempts is an investigation of WeightNot. 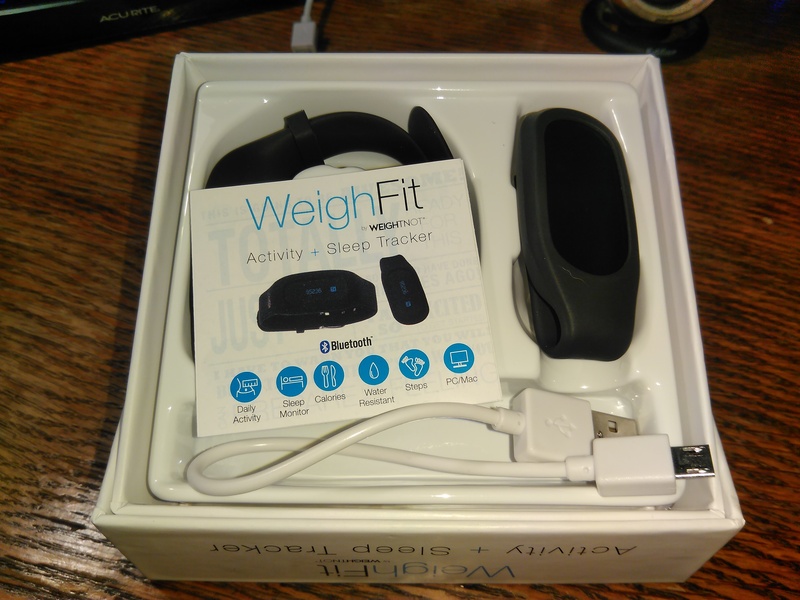 The WeighFit is an “activity tracker” by a weight loss company called “WeightNot”, WeightNot is located in Bethesda Maryland. I recently purchased this little gizmo from the discount Goliath known as Dollarama. The product was presented in a nice box, something that seems like it would be locked up in a glass cabinet next to the Chromecasts, so I immediately knew it wasn’t typical dollar store inventory. Inside the WeighFit box: comes with a bracelet, a belt clip, the WeighFit itself, an instruction booklet and a 22 cm charging USB cable. The WeighFit is small (9 grams) activity tracker, that functions as a basic pedometer, sleep track, calories burned, and goal tracker. The box included a small charging cable (22 cm end to end), a clip so you can put it on your belt and a watch band so you can wear it on your wrist. However unlike the basic step counters the WeighFit shared the shelf space with; this unit has Bluetooth on board ready to link your smart device. Asides from the slick veneer of the packaging, I knew this was going to be an interesting adventure. The cashier, while ringing up the litany of goods at the cash, noted she had the same device. She held up her wrist to show me it. “Make sure you download the app on the back of the box” She said. It didn’t make much sense to me at the time – of course, download the app, duh how else would it work? The back of the box had a sticker applied to it. It says “J-Style Pro Download the APP”. Sounds like a weird name for an app when your product is named the WeighFit. I got home and unboxed the product. The aforementioned items were nicely packaged. I took out the instruction booklet and read it. The booklet says specifically to download the WeightNot App. When I tried to find it on Google Play it was not there. So I Google’ed the WeightNot site. 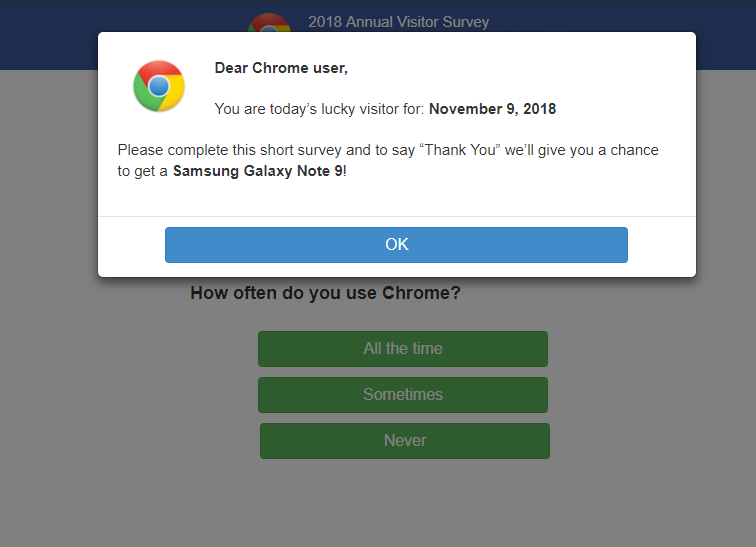 When clicking on the WeightNot website from Google I WAS REDIRECTED TO A SCAMMY SURVEY SITE! Upon doing this investigation I made multiple visits to the WeightNot website and it happened multiple times across multiple devices and browsers. Either their site has malware on it, or they profit off this somehow. – And before it’s suggested, this is only the site I have this issue on. I’m fairly confident that I do not have malware on my machine (at least before I visited the WeightNot site). We’re sorry, the requested URL was not found on this server. Not a good look for WeightNot. To summarize, they still actively display their app on their own web page, with nice buttons that are supposed to take you to your app store but the app does not exist – it should also be noted that WeightNot is not a defunct company, so there isn’t really any excuse. With that, I decided I’ll try that weird app on the back, “J-Style Pro”. I was somewhat alarmed, when the app had an average of 2.4 stars on the Google Play store, but at least it was there. After I downloaded J-Style Pro, I fumbled around in the app to try to pair the tracker with the phone but I didn’t have much luck (As I would find out later it was more so due to my incompetence). Without pairing the app, the device will track your steps and track your progress towards a default goal (I think 10,000 steps). The date and time will be wrong and the only button the device lets you cycle through the screens or change it to sleep mode (no way to configure the device without the app). So the app is mandatory. 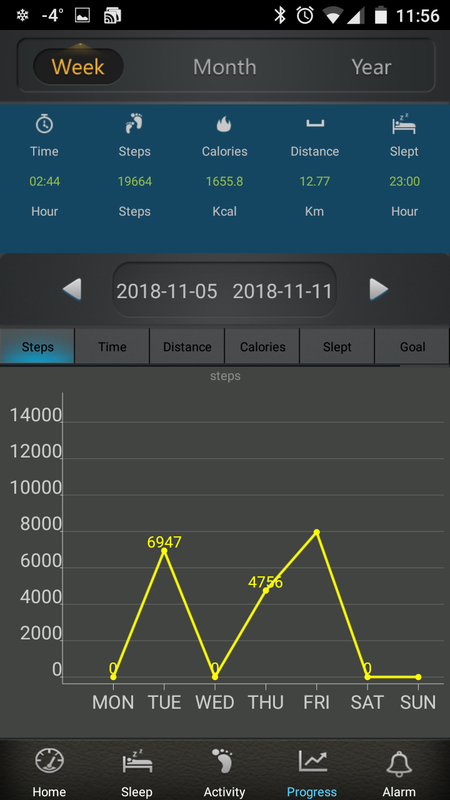 The device does log your data (apparently for 30 days), but for the current step count it resets at midnight, which isn’t “true” midnight, it was the middle of the day. So I undertook the process of trying to pair the tracker to the phone again, this time using the generic system level pairing under Bluetooth options on my Android phone. Similarly to how I pair Bluetooth headphones, or vehicle media centres. The WeighFit device would show up on devices but disappear, eventfully I was able to commence a pairing but my phone kept asking me for the Bluetooth PIN, which was not documented. I tried guessing all the basic stuff, tried to Google the answer and I even looked up to see if there was any easy to use software to brute force the PIN. This didn’t seem like the right way to go ahead with this and clearly I was missing an easy step. I emailed WeightNot and asked for the Bluetooth PIN so I could pair the device through the Bluetooth settings. I was given response that did not directly answer my question but it did indicate that WeightNot no longer offers or supports the WeighFit. I was told that a third party application (J-Style Pro) provides the same functionality and if I was unhappy with the product to return it the retailer for a refund (Dollarama does not offer refunds). They also mentioned that it was likely the retailer purchased the product through a broker, basically telling me that they are not responsible for it. I would like to take a little detour here and point out something very strange. The rep indicated that they no longer offer or support the WeighFit but the website still has a page advertising the WeighFit with links to the app and a link to buy the WeighFit. The buy it link did not 404, but seemed to go to an actual store page. The price was $70, but for some reason it applied a 30% discount and the total price showed as $49. I saw on a page for the WeightNot app that you had to be an active member to login (and presumably use the app). So perhaps they crafted it in such a way that only members were really supposed to have the WeighFit. So the “retail price” is superfluous because no one is supposed to buy it retail. (later on in part two of this investigation I get an idea of what the wholesale price of these devices are). This speaks volumes about the company. They don’t officially offer it, nor support it, but they will still apparently take your money for one. It’s not clear what would happen if you try to buy one. Perhaps it results in an error, or perhaps you actually receive a WeighFit. Eventfully I ended up figuring out how to pair the device to the J-Style Pro App, hidden away in the settings of the J-Style Pro app there is an option to pair. I’m slightly embarrassed that I missed the option in the settings, but it was there. With that, I was finally able to set the right time on the device, but there seems to be no way to change the distance units to kilometres (it’s stuck in miles). The device works as expected. I took a few walks and it registered my steps. The battery seems to last around a week. I bought a second WeighFit, and I attempted to see if there was a difference in steps between wearing it on your wrist or wearing it on your waist. There was a difference of about 200 steps on a 3,000 step walk. The waist mounted step counter registered more steps. I think it may be because I don’t always move my arms when I walk. The biggest issues with the device is the J-Style Pro App. Yeah, it doesn’t look the best, but so what. That’s forgivable. I want my data more than anything. When I figured out how to pair the device I had like a week or two of data to import. I watched the small popups come up for each day that data was imported. When it was finally done doing the pull I checked the activity page and…. Just today’s data was showing. All that historical data that it back filled? Yeah not in the app. My week stats, despite using the tracker everyday it fails to show all my stats. As the screenshot shows there are days with ZERO data. This means the app is not dealing with data properly. I also tried the sleep tracker. I found out I am getting way less sleep than I ever though only 5-6 hours a night. I’m not sure what to do with the data, or even how it works. I am assuming it tracks movements during sleep = less movements = good quality REM sleep and more movements = low quality sleep. There is a circular graph that colours the intensity of your sleep. Over all the device isn’t bad. The clip and watch band are nice additions. The screen display is great and not like one of those cheap ‘calculator’ displays that the other step counters had at the dollar store. Unfortunately the app isn’t the best. If the app can’t keep track of all my data then I don’t see me using this device for too long. It’s too bad there seems to be no way to actually turn the unit off and there is no way to turn the Bluetooth off, meaning anyone could theoretically connect to the device if they are nearby. I’m sure if you could turn off the Bluetooth you could probably extend the battery life of the device. For the price though, it’s a good deal no doubt and overall if you can fetch it for under $10, I would say do it. Guess you didn’t do any walking on Wednesday eh lolol.